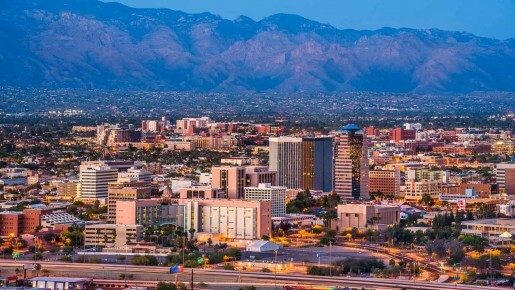 Nestled in the heart of Arizona’s most spectacular desert and mountain scenery, Tucson is the state’s second largest city, a friendly, welcoming place with more than 300 days of sunshine a year. Outdoor activity is a must, whether you’re a golfer, hiker, cyclist or horseback rider. Our parks, including Sabino Canyon and Saguaro National Park, overflow with cactus, purple mountain peaks, and trails leading off into heavenly natural bliss. We offer plenty of cultural activities, including a thriving art scene, shopping, and historic sites. And something folks don’t generally know: Tucson has been named one of the nation’s top gastronomy capitals. Whatever your interest, our Concierge team will be delighted to assist and ensure your stay is unforgettable.